By Charles McManis. Published by Thomson West. 2013. 7th edition. 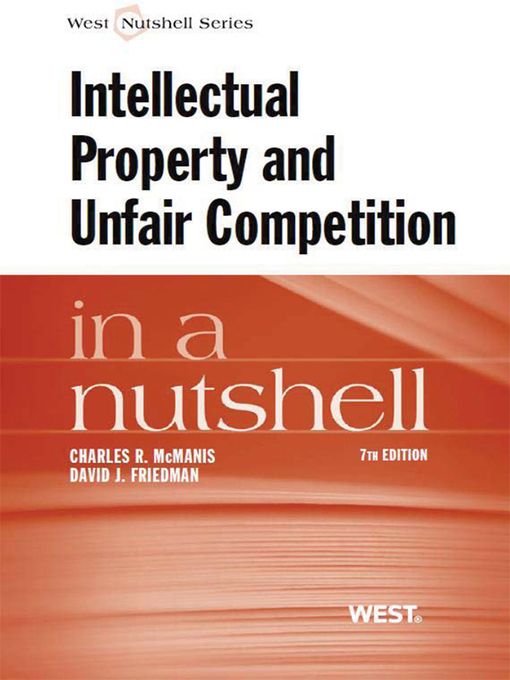 This nutshell provides an introduction to unfair competition and intellectual property. Specific topics covered include interference with contractual relations, misidentification, product substitution, appropriation of intangible business assets, and injurious promotional and pricing. By Carolyn Carter. Published by National Consumer Law Center. 2012. 8th edition. Part of the Deception and Warranties Library from the National Consumer Law Center, the eighth edition of this title provides a broad overview of unfair and deceptive acts and practices law. Specific chapter focus on scope, demonstrating a UDAP violation, credit and collections, motor vehicle sales, home related transactions, litigating a UDAP case, private remedies, and state agency enforcement.